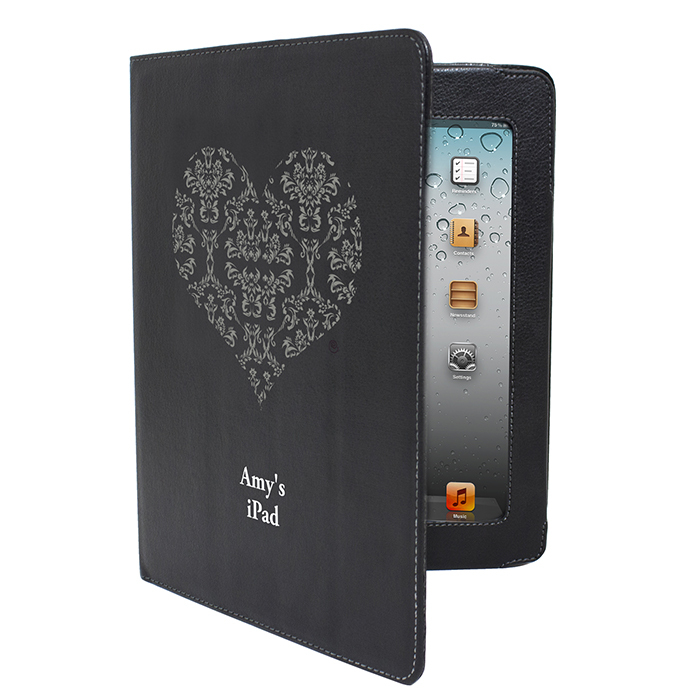 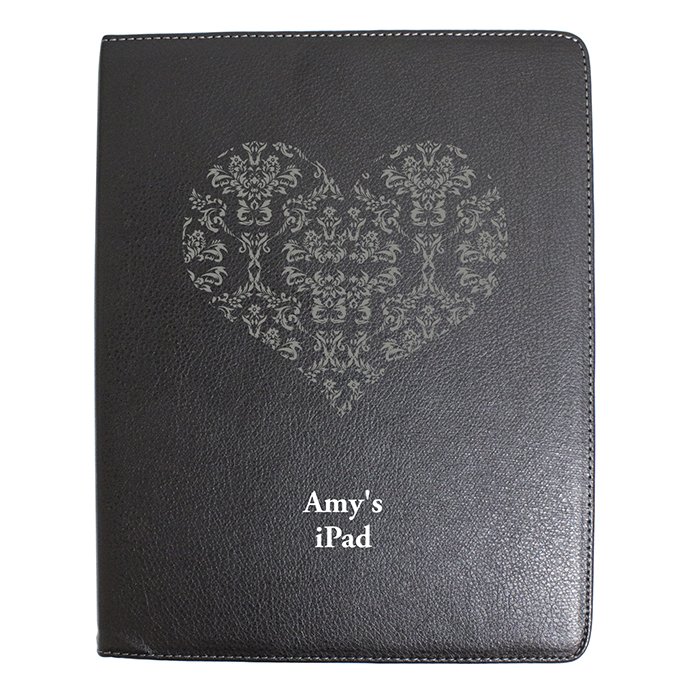 Personalise this iPad Damask Case with 2 lines, 20 characters per line. Protect your iPad from scratches and impacts with this stylish leather-look case. It is easy to fit and allows easy access to all functions and ports. 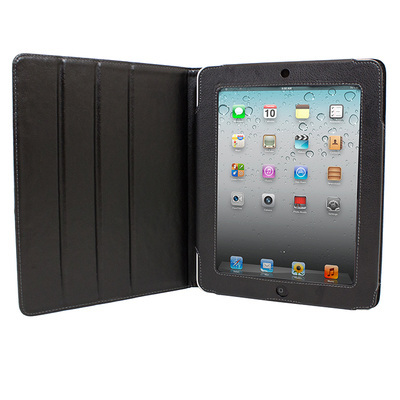 The case also includes a built in stand for easy viewing and usage.